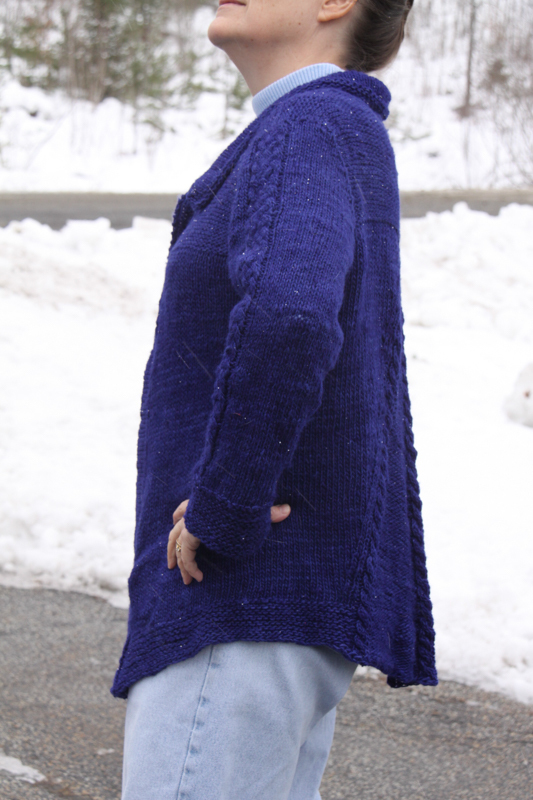 Squeaking in under the wire! My last completed knit of 2018. 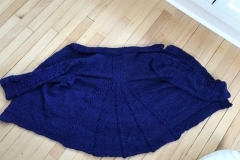 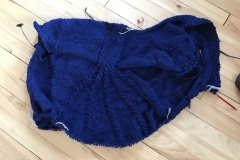 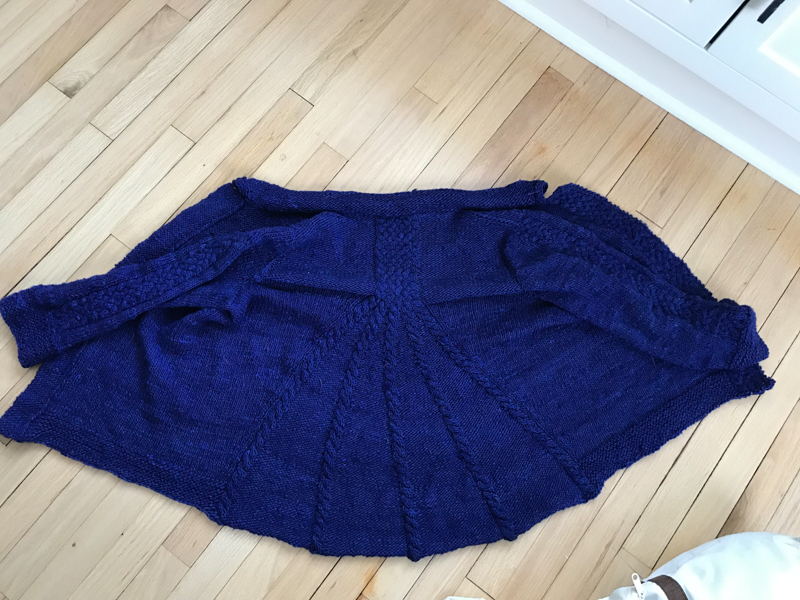 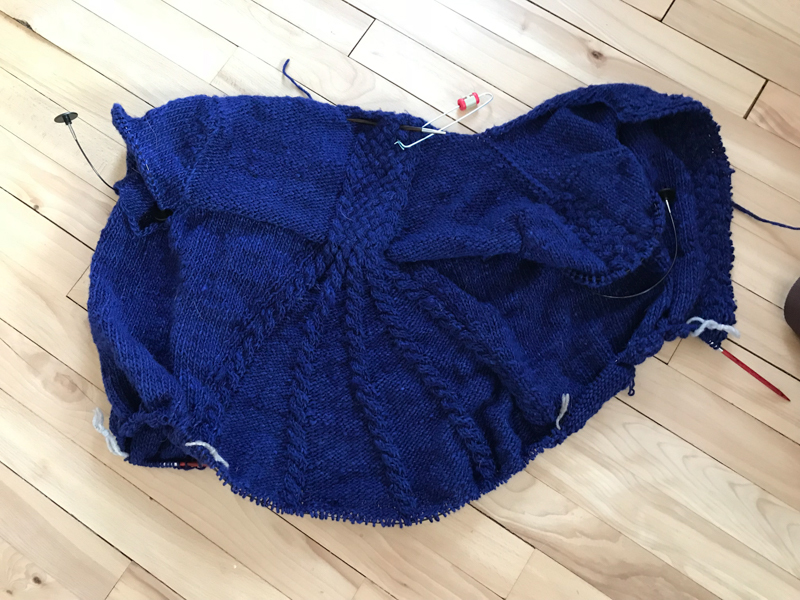 I started it in December of 2017, and knit it as my “sensible spare” project while working on designing and knitting the Stained Glass Rose Window sweater. 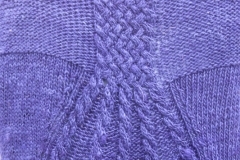 The Noro Cash Iroha was in my stash for a decade or so; it was nice to get it knit! 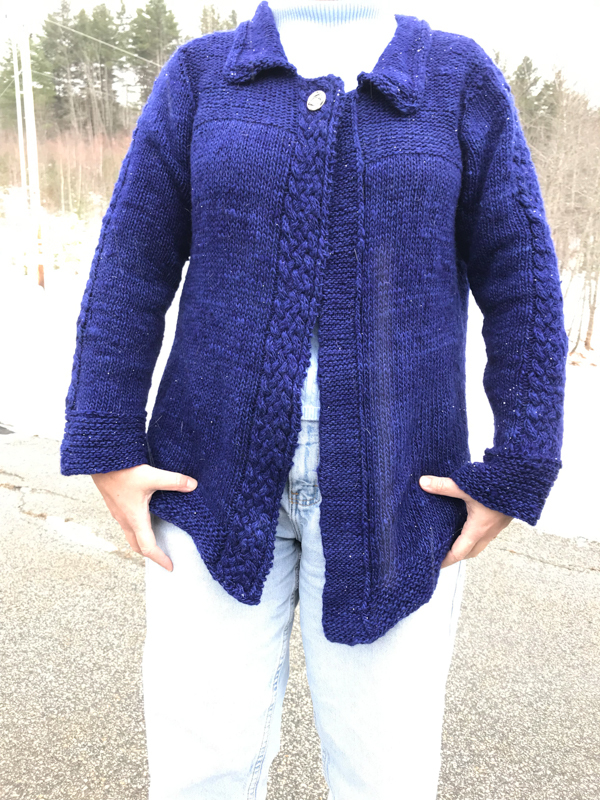 This yarn probably doesn’t give quite enough definition in the cabling, and it is not quite as “springy” a yarn as one might want, but it makes a nice, light cardigan. 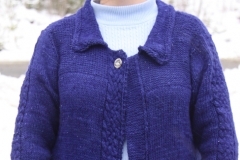 I finished it with a snap (behind the decorative button at the top of the button band), but I might upgrade it to a larger snap, and put one in around bust-level, as well. 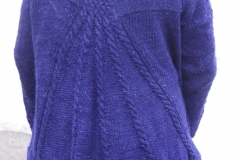 I like Jennifer Wood’s patterns. 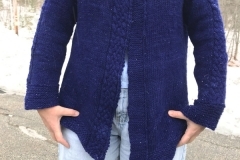 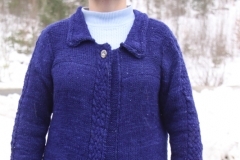 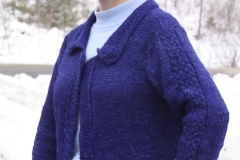 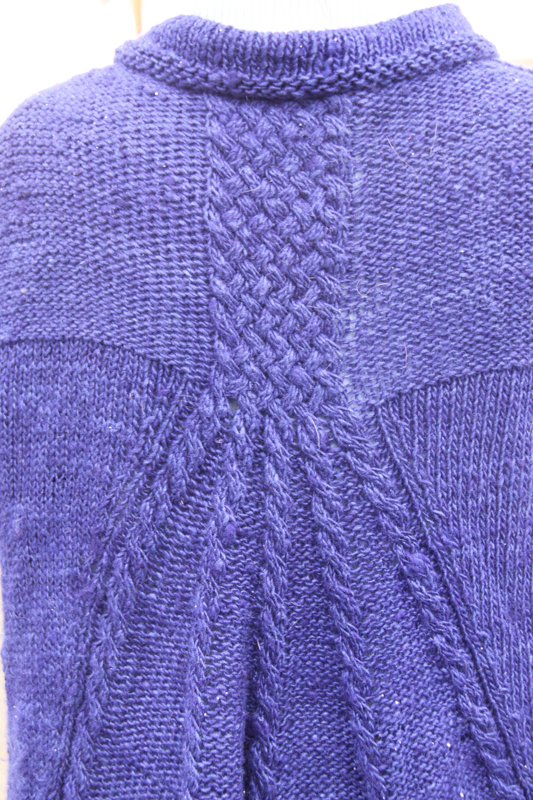 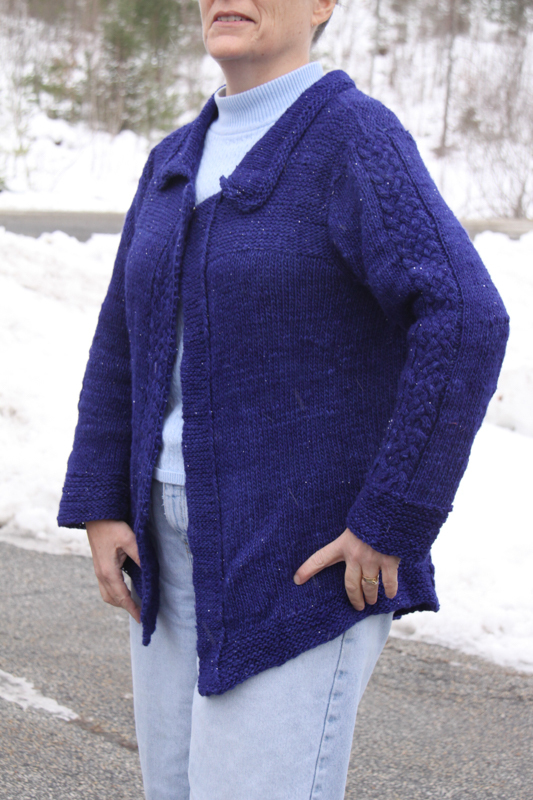 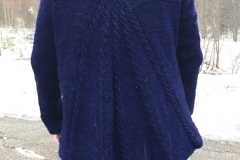 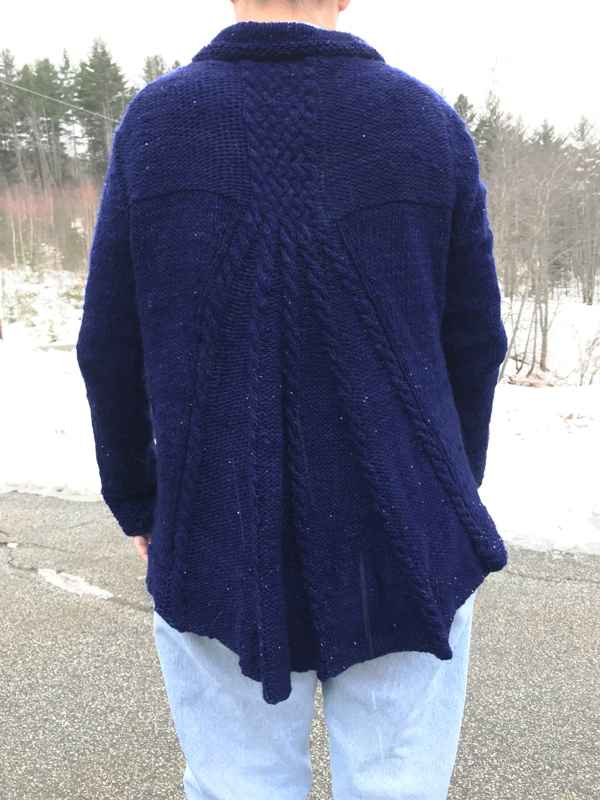 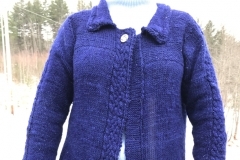 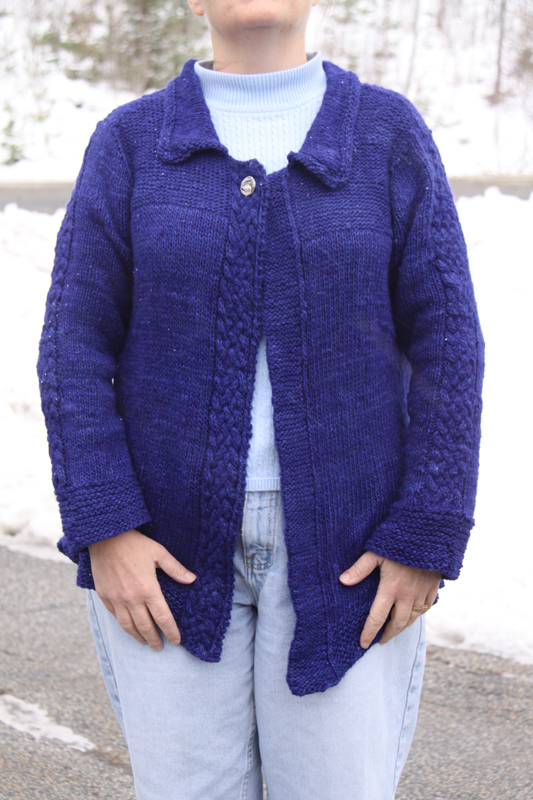 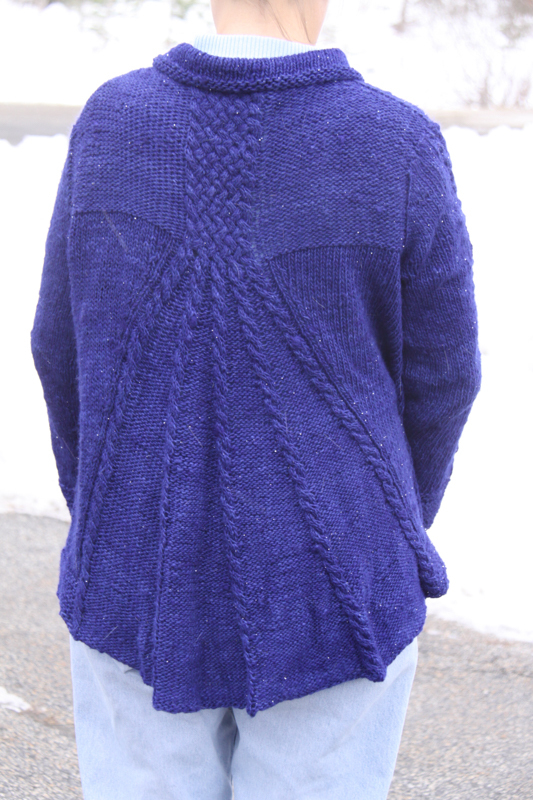 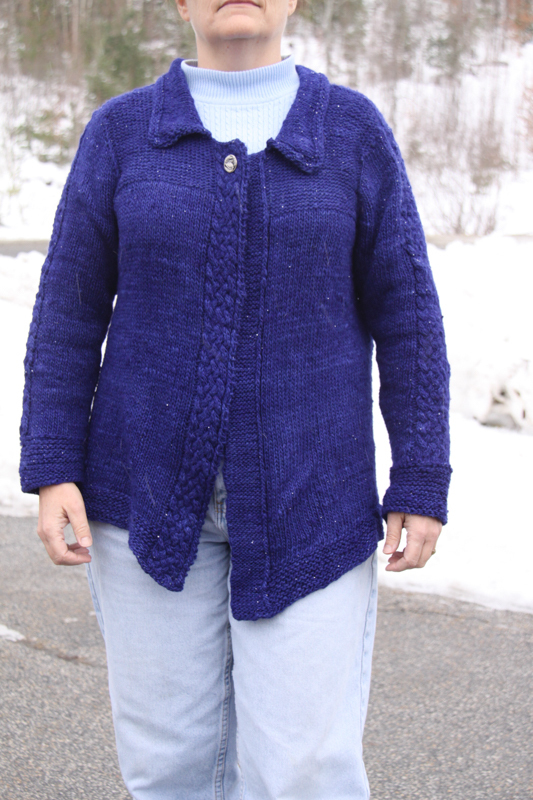 The Lucille pullover I finished in 2017 was also by Jennifer Wood, and also featured interesting top-down construction from careful yoke/shoulder design, and then clever cabling patterns throughout.